Are you passionate about Housing and ending Homelessness? Shelter Scotland helps half a million people every year struggling with bad housing or homelessness through our advice, support and legal services. And we campaign to make sure, one day, no one will have to turn to us for help. We’re here so no one has to fight bad housing or homelessness on their own. 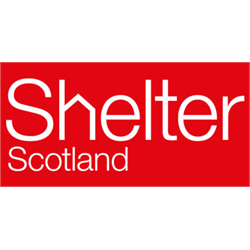 Shelter Scotland is looking for a dynamic Head of Communications and Policy with experience of managing the communications mix and influencing policy and decision makers to head up a dedicated team. Our award-winning Communications and Policy Team is responsible for promoting Shelter Scotland’s brand. They also lead our public campaigning and digital communications to achieve change for those that do not have a safe, secure or affordable home in Scotland. Their work targets national and local government, as well as communities and stakeholder groups. And, by using rigorous research, client insight and human stories, they develop campaigns for change to tackle the root causes of Scotland’s housing crisis. Right now, we need someone like you to lead and manage our communications and policy activities in line with our new strategy. As well as motivating and inspiring a team, you’ll be responsible for developing and delivering a communications plan and making sure we’re positioned effectively with policy makers and decision makers alike. Seeing that our digital presence continues to break new ground will be one of the challenges awaiting you too, as will developing and projecting compelling messages to the right audience at the right time in order to bring about change. Working with the Director of Shelter Scotland, our Head of Services and Head of Business Development you will provide leadership across the organisation, line manage others and oversee the department’s annual budget. Used to developing and delivering effective communications, you also have strong management skills and a proven ability to effectively coordinate a department to deliver impact. We’ll also be looking for an excellent knowledge of digital communications and their strategic importance. As comfortable coordinating key policy messages as you are representing an organisation externally, including undertaking speaking engagements and media interviews, you&apos;re proactive, results-driven and commercially aware. What’s more, you’re not afraid to question convention and challenge the status quo when required. Safeguarding is everyone’s business. Shelter Scotland is committed to protecting the health, wellbeing and human rights of those we support, and enabling them to live free from harm, abuse and neglect. All our staff will be expected to observe professional standards of behaviour and conduct their work in line with our Safeguarding Policies. We are looking for a client-focused individual with experience of advice work with a specific focus on housing issues, money and debt and welfare benefits to join us as an Adviser and provide vital advice to our clients in the Edinburgh area. Our advice and support Hubs located in Glasgow, Dundee, Aberdeen and Edinburgh provide a range of services, including money and debt advice and legal advocacy and representation. There are also support services in Glasgow, Dumfries and South Lanarkshire delivering housing support for vulnerable people and families who are homeless and a dedicated service working with Young Runaways in Tayside. In addition, we have services focussing on specific client groups such as prisoners, older people and veterans, as well as a free telephone helpline. This particular role is based at our Edinburgh hub. Do you have proven experience in community engagement and/or development work and excellent communication skills? Then join Shelter as a Senior Development Worker and you could soon be playing a key role within an exciting project that’s funded by The Social Innovation Fund and supported by the European Social Fund (ESF) and Scottish Government. Housing has become a national emergency that affects us all. At Shelter Scotland, we believe a safe home isn’t just a fundamental need - it should be a right. That’s why, more than ever, this year and beyond we are leading the way to a safe home. We’re going to rally the country to join us on our mission to rise up, speak with a united voice, pick up the pieces and fix the underlying problem. Will you join our Time for Change team and help us? Time for Change focuses on the identification of local issues facing homeless people and, through involvement and wider consultation, co-produces the design and delivery of a local response to tackle those issues. The project is currently operating in Glasgow and a one-year pilot project was established in Dundee, which ran from October 2017. We have now secured funding to further develop this work in Dundee, as well as introducing this approach to Aberdeen and Edinburgh. Based at our Community Hub in Dundee City Centre, your challenge will be to lead the project’s work and take accountability for its success. This will involve engaging with people with experience of homelessness across Dundee, developing opportunities for involvement and facilitating core groups and forums. We’ll also rely on you to build and maintain relationships with a variety of stakeholders and ensure the individuals you engage with are integral to service delivery. Seeing that your team, including paid staff and volunteers, deliver good customer care, person centred support and effective outcomes for clients will be vital too, as will supporting the Hub Manager to ensure contract and organisational targets are met and exceeded. This is an exciting and diverse role where you’ll be leading on the delivery of this workstream in Dundee, so you’ll definitely need to have developed and run administration systems, assisted with finances, including budgets, ideally in a customer-facing environment. You’ll also need excellent communication skills, not least as the role involves communicating with a variety of audiences. The success of this work is dependent on assertive outreach too, so you’ll need to be a confident and enthusiastic individual who can self-manage and self-motivate. The ability to manage and collate data, carry out analysis and write reports is a key skill. Whilst experience of working with people experiencing multiple and complex needs is desirable, it is not as important as your ability to engage with people, develop relationships and create opportunities for meaningful involvement. Are you a client-focused individual with experience of advice work with a specific focus on housing issues, money and debt and welfare benefits? Then join Shelter as a Development Worker and you could soon be playing a key role within an exciting project that’s funded by The Social Innovation Fund and supported by the European Social Fund (ESF) and Scottish Government. As a Development Worker you&apos;ll be providing advice on all areas of housing, homelessness, money and debt and welfare benefits. This will involve conducting detailed interviews with each client, agreeing their needs, writing action plans and keeping accurate records. Establishing and developing relationships with relevant external organisations and services will also be key in this interesting and challenging role. You’ll need experience of housing and/or debt and/or welfare benefit advice and experience of working with people with a variety of issues in an advice and support environment. The ability to work with a wide variety of stakeholders is important too, as is a proactive, client-focused and collaborative approach, great relationship building skills, respect for others&apos; opinions and the ability to deal effectively with change. You’ll need to be able to use MS office applications and experience of using case management systems is desirable. Based at our Community Hub in Aberdeen City Centre, your challenge will be to lead the project’s work and take accountability for its success. This will involve engaging with people with experience of homelessness across Aberdeen, developing opportunities for involvement and facilitating core groups and forums. We’ll also rely on you to build and maintain relationships with a variety of stakeholders and ensure the individuals you engage with are integral to service delivery. Seeing that your team, including paid staff and volunteers, deliver good customer care, person centred support and effective outcomes for clients will be vital too, as will supporting the Hub Manager to ensure contract and organisational targets are met and exceeded. This is an exciting and diverse role where you’ll be leading on the delivery of this workstream in Aberdeen, so you’ll definitely need to have developed and run administration systems, assisted with finances, including budgets, ideally in a customer-facing environment. You’ll also need excellent communication skills, not least as the role involves communicating with a variety of audiences. The success of this work is dependent on assertive outreach too, so you’ll need to be a confident and enthusiastic individual who can self-manage and self-motivate. The ability to manage and collate data, carry out analysis and write reports is a key skill. Whilst experience of working with people experiencing multiple and complex needs is desirable, it is not as important as your ability to engage with people, develop relationships and create opportunities for meaningful involvement. Do you have experience of providing telephone and email advice, including housing related advice? Then join Shelter as Senior Empty Homes Adviser and help us bring empty homes back into use. Housing has become a national emergency that affects us all. At Shelter Scotland, we believe a safe home isn’t just a fundamental need - it should be a right. That’s why, more than ever, this year and beyond we are leading the way to a safe home. We’re going to rally the country to join us on our mission to rise up, speak with a united voice, pick up the pieces and fix the underlying problem. Will you join our team and help us? Part of an award-winning Communication & Policy Department, our Scottish Empty Homes Partnership (SEHP) is a Scottish Government funded project aimed at enabling private sector empty homes to be brought back into use across Scotland. The Partnership achieves this through a mix of policy work, capacity building, training, best practice sharing and awareness raising with councils, community groups and others. It is also home to the national Empty Homes Advice Service - a public facing advice line that anyone can call for help or to report an empty home. You will take overall responsibility for the Empty Homes Advice Service, line manage an Adviser, review and develop the advice service and take on more complex cases and referrals. Our aim is to encourage councils that don’t currently have an empty homes function to develop one, so cultivating relationships with a range of Local Authorities will be a key aspect of this challenging role. And, when it comes to highlighting key themes, trends and barriers and best practice to allow the Partnership to shape policy, meet training needs and share success, again, we&apos;ll count on you to deliver. Proven experience of telephone and email advice is key, with empty homes experience an advantage, but not essential. Used to supervising staff, you&apos;re also able to work effectively with a wide variety of stakeholders, both statutory and non-statutory, including volunteers. What&apos;s more, you have a proactive, collaborative and results-driven approach. The ability to positively influence others and sometimes persuade them to change their views, is also required, together with a willingness to challenge the status quo and introduce new ideas, methods or processes when required. Shelter Scotland is looking for a dynamic individual with the motivation, ability and experience to manage, develop and deliver against our vision for the Glasgow Community Hub. Whilst the hub itself is a city centre building, the activity of the hub is centred on delivering the change that we want to see locally. The Hub Manager is central to driving that change through community engagement plans, staff development and supervision, local partnerships and effective working relationships with colleagues across Shelter Scotland to realise this ambition and to monitor its impact on effecting change. The team in our Community Hub in Glasgow offer a range of advice and support services to people in housing need. They also work with local partners and agencies in the local community to help more people get the help they require. The Hub is committed to working with people with lived experience of homelessness to both develop our services and to support local campaigning and activism in Glasgow. This is your opportunity to join play a vital role in the Hub’s future success. As a Hub Manager, you’ll have three key elements of focus. The first will be the management and successful delivery of our core advice services managing relations and negotiations with funders and external stakeholders. The second will be helping more people in the local community via targeted community engagement and meaningful collaboration with people with lived experience of homelessness. The third will be to drive and support local community campaigning and activism with increased and enhanced use of volunteers. Working closely with the Principal Solicitor, you will also support the Law Service to deliver strategic and systemic change to prevent homelessness in the city. And, when it comes to collaborating with other teams to grow our services, working on external relations, funding bids and local partnership opportunities or rolling out Shelter-wide quality initiatives, again, we’ll rely on you. To succeed, you’ll need a proven track record in a relevant area, including experience of developing and delivering services in the community and/or a regulated environment. We’ll also be looking for a flair for leading change and improving performance and a willingness to challenge the status quo and introduce new ideas, methods and processes. Proactive, client-focused and commercially aware, you have respect for others’ opinions and the communication skills it takes to influence at all levels. What’s more, you’re proficient in the use of Microsoft Office applications and case management and reporting systems and have good typing skills. Do you have proven experience in community engagement and/or development work and excellent communication skills? Then join Shelter as a Senior Development Worker and you could soon be playing a key role within this exciting project. Based at our Community Hub in Edinburgh, your challenge will be to lead the project’s work and take accountability for its success. This will involve engaging with people with experience of homelessness across Edinburgh, developing opportunities for involvement and facilitating core groups and forums. We’ll also rely on you to build and maintain relationships with a variety of stakeholders and ensure the individuals you engage with are integral to service delivery. Seeing that your team, including paid staff and volunteers, deliver good customer care, person centred support and effective outcomes for clients will be vital too, as will supporting the Hub Manager to ensure contract and organisational targets are met and exceeded. This is an exciting and diverse role where you’ll be leading on the delivery of this workstream in Edinburgh, so you’ll definitely need to have developed and run administration systems, assisted with finances, including budgets, ideally in a customer-facing environment. You’ll also need excellent communication skills, not least as the role involves communicating with a variety of audiences. The success of this work is dependent on assertive outreach too, so you’ll need to be a confident and enthusiastic individual who can self-manage and self-motivate. The ability to manage and collate data, carry out analysis and write reports is a key skill. Whilst experience of working with people experiencing multiple and complex needs is desirable, it is not as important as your ability to engage with people, develop relationships and create opportunities for meaningful involvement. Do you have excellent administration and audio/copy typing skills? Then join Shelter Scotland as a Legal Administrator and you could soon be playing a vital role ensuring our legal team have the administrative and secretarial support they need to help more people whose housing rights are at risk or denied. Housing has become a national emergency that affects all of us. At Shelter Scotland, we believe a safe home isn’t just a fundamental need - it should be a right. That’s why, more than ever, this year and beyond we are leading the way to a safe home. We’re going to rally the country to join us on our mission to rise up, speak with a united voice, pick up the pieces and fix the underlying problem. Together we can bring fundamental change. And no matter how long it takes, we will succeed. Your outstanding administrative and organisational skills will be critical to your success in this role. As well as proven audio and copy typing skills, you will have ideally worked in a legal environment so you are used to legal documents, but training can be given. You’re proactive, creative and commercially aware with great written and verbal communication skills and enjoy working as part of a busy team. To find out more about the role and the benefits of working for Shelter please visit our website. Apply to be part of our legal team and be the change you want to see in society. We’re looking for a creative and innovative individual with experience of managing face-to-face (F2F) or door-to-door (D2D) teams, to join us as Deputy Door to Door Manager and help coach, manage and develop our D2D team. Fundraising is at the heart of Shelter’s success and we are currently working to generate a gross income of £45m by 2019/20. Our in-house team plays its part by focusing on bringing quality new supporters on board through F2F & D2D fundraising, which currently delivers around 85% of our new regular giving supporters. We run a number of teams across the UK and now is a particularly exciting time to join us. Working closely with the D2D Manager, you’ll help manage all of our in-house D2D activity, including ensuring campaigns are delivered on time and meet targets. We’ll also rely on you to monitor the performance of teams and individuals, report on progress and identify and act upon any areas where improvement is needed. Playing your part in the people management of the team will be important too, including conducting regular 1-2-1 meetings, coaching and motivating the team and assisting in an effective recruitment programme. And, when it comes to making sure all administration is completed accurately and follows efficient processes, again, we’ll count on you to deliver. As well as a proven track record in a D2D/F2F role, we’ll be looking for a proactive and collaborative approach plus a flair for identifying emerging opportunities or taking action to avoid potential problems. A real customer focus, excellent communication and relationship building skills and the resilience to deal effectively with potentially difficult situations is also essential, as is the ability to lead change and improve performance. Proficient using Microsoft Office applications such as Word, Excel, email and the internet, you’ll also need the know how to use databases for reporting purposes. To find out more about the role and the benefits of working for Shelter please visit our website. Apply to be part of our award-winning fundraising team and be the change you want to be in society. We’re looking for a proactive individual with community fundraising and volunteer management experience to join us as a Regional Community Fundraiser and help us maximise our local fundraising activities. Part of our hugely successful Fundraising Division, Shelter’s Community & Events team is responsible for creating and delivering an array of fundraising events, as well as a new community fundraising programme. Our high value challenge events portfolio includes Shelter’s own flagship events Vertical Rush and Urban Rush. We also support, develop and promote a variety of successful community fundraising initiatives and deliver an ambitious special events portfolio of high profile cultural events and festival partnerships. And, with the launch of a new and exciting growth strategy and further investment in the Events team, it&apos;s a particularly exciting time to join us. Implementing a new community fundraising strategy in Glasgow and the surrounding areas is just one of the challenges we’ll expect you to rise to in this high profile role. Essentially, you’ll be responsible for raising the profile of the organisation and attracting new loyal and regular supporters. That means shaping and developing your geographical area and local community to establish a tangible relationship with Shelter and its work. It also means providing a high standard of stewardship to add value to current and new Shelter fundraisers and volunteers. Working in the best interests of the charity by contributing to wider fundraising teams&apos; goals whenever possible will be important too. Put simply, you’ll do everything you can to generate more income and attract new long-term supporters. To succeed, you’ll need a proven relevant background, including working within community fundraising and volunteer management, and a demonstrable track record of meeting and exceeding financial targets. We’ll also be looking for experience of reporting using Raisers Edge or a similar database. Customer focused, commercially aware and results-driven, you have a creative and innovative approach and are great at building relationships with people at all levels. What’s more, you’re not afraid to challenge the status quo and try new ideas when appropriate. Proficiency using Microsoft Office applications is also required, as is a full UK driving licence. Shelter Scotland helps over half a million people every year struggling with bad housing or homelessness through our advice, support and legal services. And we campaign to make sure that, one day, no one will have to turn to us for help. We’re here so no one has to fight bad housing or homelessness on their own. To find out more about the role and the benefits of working for Shelter please visit our website. Apply to be part of our fundraising team and be the change you want to see in society.